Whether you are buying, selling, letting or renting we aim to make your move as smooth as possible. Loveitts have been the cornerstone of Coventry and Warwickshire life for 175 years. Founded in 1843 the principles of customer care, trustworthiness and honesty developed all those years ago still hold firm today. "We have been delighted by the great service from Sadie & Sue at Loveitts Leamington; our house sold within a week and the sale went through without any hitches, all issues were resolved in a timely fashion thanks to their hard work. Thanks again and we will see you next time we are moving house!" "Paul Barnes and his team at Loveitts never seem to fail to go above and beyond their call of duty! They have a great work ethic and I would not hesitate to recommend their services." "Thank you very much Loveitts!! Well done. Mrs D"
"Great estate agents with great customer service! Couldn’t fault my experience, I would definitely use them again in the future or recommend them to anyone looking for an estate agent"
"A great service, we were kept up to date at all points a personal, professional and friendly service throughout. Couldn't have asked for more." "What an experience the auction is! Loveitts were so professional - use them with confidence. Special thanks to Sara who helped me through the whole process"
"Thank you for persevering with us until the sale. It has been a marathon! You have been so efficient and considerate for the last 10 months. You looked after us well and we cannot thank you enough for all you have done. Our grateful thanks to you. Best wishes"
"Great independent estate agent where customer service is right at the top of the list. We were so impressed by Loveitts thanks to Liam and all the staffs 'The Good' professionals. They are good value for money and as a fully sorted our new property in less than 3 days. The service is great! We’re in good hands. Awesome! Loveitts Coventry"
"My brother had a great experience working with Liam. He couldn’t believe how responsive he was to all of our requests and questions, and he knew far more than my brother Francis ever hoped to about the process of renting his home. Loveitts Coventry is far better than what my brother expected. Thanks a million to Liam, a great Guy with professional values. My brother knew the area very well because he already lived there. Five Stars for you all at Coventry Loveitts"
"Great service from Loveitts. Recently rented a house with them, they were extremely helpful and offered lots of advice as this is quite a new experience for me. The staff were all really helpful and kept me updated regularly. Paula & Della earn a specific mention. Fees were reasonable and realistic too, lots of other agents trying to charge silly money and fees based on 2 adults when only 1 adult occupying. Refreshing change. Thank you!" "Steven, thank you so much for your very professional service. Everything ran so smoothly from our first contact to final completion. Very pleased and I will highly recommend you!" "Steven, many thanks for your very detailed and well-considered response. This has been very informative and has supported my feeling not to progress this purchase. I am currently investigating the purchase of alternative business premises and would have no issue based on the quality of this response in instructing you on this or any of the other commercial premises should they become vacant. I look forward very much to working with you in the future. Warm Regards." "John, we are extremely grateful for the service you had provided for the last 2 years. We wish we could have had your personal service for years before we met you; could have achieved much more. We appreciate your dedication and professionalism in the hard work you have put in to support us and our families, in regards to our properties investments. We hope to work with you and your company (Loveitts) for many more years to come. We thank you again for your great service"
"I am overwhelmed to see how quickly you pushed this one through. I really am impressed, the contractor turned up yesterday and did the job. Wahooo, I am speechless, really happy." "John, we are extremely grateful for the service you had provided for the last 2 years. We wish we could have had your personal service for years before we met you; could have achieved much more. We appreciate your dedication and professionalism in the hard work you have put in to support us and our families, in regards to our properties investments. We hope to work with you and your company (Loveitts) for many more years to come. Also to keep up our personal friendly relationship with each other. We thank you again for your great service. From Naz and Imran Miah of Akbars Cuisine Ltd"
"My partner and I have been dealing with Justin from the Leamington Spa office and he has just been great! Thank you for all the help you have given us with moving into our new home"
"We wanted to express our sincere gratitude for the very professional way that David handled the sale of our house and the purchase of our new home. Without the efforts he made to keep us informed, we would have been completely in the dark. His professional and personal approach has made the whole experience very easy. Thank you and best wishes for the future." "Fabulous service and first class handling of my sale from start to finish. I would highly recommend David Wilson at the Leamington branch ." "I have just completed on my sale through Loveitts, they did a fantastic job and achieved me a higher figure than expected. The property was sold through a strategic open day. The sale was chased through by them and completed quickly. I can not thank them enough." "Cannot thank Gemma at Loveitts enough for her hard work, commitment and outstanding customer service. Without Gemma's dedication to chase every step of the way and keep the lines of communication open we are sure that our chain would have fallen down and our sale would not have completed. She made an immensely stressful time bearable and was always on hand to offer us advice and support when needed." "The completion of my sale and purchase will soon be here and I can’t thank the team at Loveitts enough for making both go through so smoothly. A big thank you to Fynn for finding me a buyer in only a few days and also making sure I found a new home I liked so quickly." "Thanks for dealing with this so quickly and diligently, as usual. As said earlier, we really like the house and the neighbourhood and would like to stay longer." "What I want to convey in this email is that your efficiency and professionalism was valued as it was so helpful to me back in 2013 when so much house renovation had been done." "Avril is a true professional and also an excellent judge of character. I know my properties are in good hands with Avril and her team." "I have managed my own portfolio for many years, however, serious illness has meant I've had to step away. I needed a professional and effective team to work with. Someone who truly knew their market from every angle. My Tenant's are important to me and their welfare and satisfaction really matter!! Avril and her team won my confidence. They above all the other local Agents stood out as a credible business partner and I have not been disappointed with that decision. Avril, Lauren and Linda are a pleasure to work with and deliver a service which is second to none, both to me and most importantly to my (our) clients." "Thanks Sara, we appreciate everything you are doing for us." "Thank you Carol this is amazing news!! Thank you so very much! Not sure how you managed this as I've been attempting the same thing for a while, but I am hugely grateful!" "Many thanks for all your help in making the sale happen, it is much appreciated. Best regards, Carl"
"Hi Avril, 'The professionalism and experience of the team at Loveitts gave me confidence that the tenants being offered fitted my criteria. The team involved me every step of the way giving me open and honest advice. I wouldn't hesitate to use their service again.'" "That is such good news Louis. You have done an amazingly! My dad was saying he has bumped into you a few times. We really appreciate your hard work." "Hi Paul.Thanks for talking. I just wanted to pass on my thanks to your team for getting S******* Avenue tenanted so quickly. Good work. Thanks. Mr L"
"Liam, Thank you so much for your help and professionalism yesterday. Regards, Mark"
"Good afternoon, My wife and I have been dealing with Justin regarding our rental property at ********** road. I wanted to extend to you my compliments on Justins outstanding professionalism and efficiency. I run a business myself so am acutely conscious that while high standards of service are an expectation customers automatically have, its not always delivered in the way it should be. For that reason I have a personal principal to acknowledge it when and where I find it (which isnt as often as Id like). I firmly believe that for a business to be good it needs good staff, but great staff are the thing that will set your business apart from your competitors. Can you please ensure that my comments are passed to your head office. Best regards"
"Just to make you aware we have now completed on the sale of the property. May I just take this opportunity to thank you for all your hard work over the years." "Good Morning Paula, I just wanted to send you an email to say thank you for your help in applying for the property Kind Regards"
"Dear Michelle I can't thank you enough for your professionalism, expertise, and hard work in helping us secure our new home. The service I received from you was exceptional. You are friendly, kind and thoughtful and I feel like I gained a friend. I will definitely recommend you to friends and relatives who are looking for a home! Thanks again and best regards Mrs G"
"Good morning Paula Many thanks for the feedback. Thank you for all your good efforts and excellent communication. Have a nice day and kind regards"
"Emma, Firstly thank you for making letting the above property a smooth process. I am very happy to be living here and hope to stay for a very long time. Regards G"
"Dear Angela, Once again words seem inadequate to thank you enough for stepping in to help me sort out a problem. Regards,"
"Hi Paul, I think what you are suggesting sounds perfect. We can let the tenant leave and then refurbish it before we place it on the market. We definitely would like to continue with yourself as both my dad and I find you really helpful and honest. Many thanks Regards Mr H"
"Hi Paula, It was good to meet you too. Thanks for dealing with everything efficiently and with understanding. Kind Regards, Geraldine"
"My partner and I are currently letting a house through your agency, and we just wanted to let you know how helpful and efficient your negotiator, Paula Randle was. People are quick to complain about poor service but rarely compliment good service, so we thought we'd drop you a line to say thanks and let you know what a great job Paula did. Have a good Christmas"
"Thank you Liam, Your assistance is appreciated as always"
"I take advantage of this letter to thank Loveitts team and Emma Troop for the support shown at any time with any issues in the apartment, and the faithful service to me during this time. Regards G"
"Hi Liam, Thats great, I appreciate this all being done so promptly and look forward to meeting you tomorrow. Thanks again,"
"To all at Loveitts We are now settled into our new home and wanted to say thank you to everyone for making the process so easy. Arranging the viewing was simple and everyone we dealt with was helpful and friendly. You kept us fully informed throughout and were a pleasure to deal with. Many thanks again." "Dear Paul, Thank you for the excellent service we have received during our time with you. King Regards, Miss G"
"Paul, Thank you for meeting Jaki and me last Friday. We hold your advice in high regard. Regards, Michael"
"Thank you for all your help and excellent service we have received during our time with you. Miss G"
""Dear Angela, Thanks to you and the Lettings team for your hard work on this matter. It's the best news I've had in a long time!"" "We chose Loveitts as we had used them before. Helpful staff faster and efficient to move in. Excellent service!" "Thanks for finding a tenant so quickly for my property." "The lettings team are a credit to Loveitts. They were approachable and friendly. The best service from an agent I've had!" ""My warm thanks for what you did to sell my house. I cant believe that it sold so quickly. You were wonderful in keeping me in the picture step by step and it was reassuring for me to have someone as competent and experienced as you to advise me. As I said to you, this is the end of an era. My parents moved into the property in November 1955, just 55 years ago, when the houses on the estate were completed, and its where I grew up and always went back to to visit my parents. Nevertheless, I think I chose a good time to sell it, rather than re-let it, and I hope the new owners will be happy there. If Im ever in Coventry again, Ill perhaps drive past and see what it looks like and also call in on you to say hello."" "Kim... we wanted to thank you for all your wonderful help with the house sale. There is no way that we could have done it without you!!"  ""To the Ladies at Loveitts We just wanted to say a big thank you for handling the sale with such professionalism and care. We were amazed at the speed of sale, and would not hesitate in recommending you to others in the future. Have a great Christmas""
"To Kerrie and Kim. Thank you so very much for all your hard work and patience in trying to find us our perfect home. Your perseverance paid off and we are more than grateful." "We can't believe how quickly you managed to sell the property - a huge thank you to you all!" "Dear Chris, Diane and myself would like to thank you for the professional way you dealt with the sale of ******** Drive and the help you have been to us both. You did it Chris. With kindest regards"
""Dear Ladies of Loveitts Thank you so much for all of your hard work in selling our house. We are very excited to be moving! You have all been very efficient, helpful, kind and lovely Ben, Lauren, Reuben and Bump!"" "Words cannot express or convey my thanks for all your hard work perseverance and patience with my constant calls and show ups.Im positive if it wasnt for your involvement this sale would never have happened"
"Always friendly and extremely professional with outstanding communication all the way. Need an Estate Agent or Letting Agent? Look no further you will not find anyone better than the Team at Loveitts!!!" "Would highly recommend Chris and his colleagues to help with your house move or with letting a property. Chris has always helped us above and beyond what we expected. Excellent customer service from the towns best estate agents. Donna and John"
"Peter, Many thanks for dealing with this matter we are grateful for your expertise in bringing it to a resolution quickly and within reasonable costs. Thank you for your clear advice and keeping us up to speed throughout the process." "I was very pleased with the service at Loveitts. Louise was very enthusiastic in her job. I had every confidence that she would work hard at selling my house. Everyone at Loveitts was friendly and helpful." "I was delighted to hear the Auction result regarding 100 ******** Road and wanted to thank you for all of your hard work on this matter." "May I take the opportunity to thank you again for the good work carried out on this. The result is obviously very pleasing for all involved"
"Finally! Thanks all for your continued persistence and efforts on this one. Much appreciated. Krish"
""We would like to thank you both so much for your help and efficient manner in securing the sale."" "Thank you in a really big way! Thanks for doing a seemingly impossible job." "My wife and I would like to express our thanks for the efficient and proffesional service that we recieved from your auction team." "I am very happy with how the whole team were and wouldnt hesitate to use the Auction service again. Thank you all very much." "Thank you again Sam for all of your and your colleagues help. Massively appreciated." "Thanks you, Sara, so much for your true honesty and support, Loveitts should be proud of themselves to have you in their team. Well done." "The Auction team were very professional and efficient. I cannot speak highly enough of Loveitts. The sale has been problem free and i would like to say a big thank you to Sara for all her help." ""I would like to thank Loveitts for arranging the auction so speedily and obtaining an excellent result. I was really impressed by Loveitts marketing and I know my sister was too. Your efficiency made a sad time easier."" "What an experience the auction is! Loveitts were so professional - use them with confidence. Special thanks to Sara who helped me through the whole process ." "Great Service and decent people to deal with. I put a property in their last auction and was extremely happy with the price they helped me achieve. I know estate agents don't always have the best reputation but I would not hesitate to use Loveitts again and would recommend them. Thank You"
"Thank you for your efficiency and professionalism in dealing with the sale of my Coventry property. I am delighted with the result and expect that another property will be coming your way for auction within the next year." "I found your service to be exemplary; pro-active and sensitive to the needs of all involved." "Good Morning Mark, Just a few words to thank you for all of your help with the recent sale of our property. We are sure that without your perseverance the sale would have floundered and probably fallen through. Mr C"
"Thank you for looking after us very well!! Best regards." "You have carried out the sale process in a professional and proactive way exploring all possible avenues to sell the land." ""I would like to take this opprtunity to congratulate you on your website for it overall excellence , content richness, breadth and user-friendliness."" "Peter, Thanks for your mail and many thanks for your work to resolve this matter. It’s a relief to finally get it sorted out and secure the long term lease. We have appreciated your sound advice and expertise throughout the process. Best Regards Andrew and Melinda French"
"Thank you Avril, I really appreciate your help, That's why I do not choose any other estate agent to manage my property. I know some of the staff at Loveitts/Coventry branch & they all are brilliant to work with." "Hi Carol, Thank you so much for your comprehensive analysis and the work that you do, it’s really appreciated. Clearly you’re on the case, please keep me informed of developments. Regards Mark"
"Hi John, Yes great news we have finally completed. Thank you for all your help and advice with the negotiations. We would be more than happy for you to take photos etc for your company. Kind Regards Richard"
"Thank you Sally, the sales price was right at the top end of (and probably exceeded) what I might have hoped for! Please pass on my thanks to all of the team involved in last night. Auction days are clearly a very long and busy day for you all, but I was impressed as to how the whole evening was organised. Thanks also for your own advice and guidance during the last few weeks which helped steer me through something I previously knew very little about!! Best wishes"
"Hi Jade and team at Loveitts Rentals I just wanted to say thank you for the professional service you offer. You certainly demonstrate that you go the extra mile in providing excellent customer care. I would certainly recommend you to others wanting to rent in Coventry. Thank you"
"Sorry to have missed you yesterday. Not enough is made of when people do a great job but criticism comes easily. I’d just like to say that Jade is doing a great job on the stock for me at Henley Green. She is switched on to what we do and is a delight to deal with." "We were informed that our tenant had handed there notice to leave our property in, just before Christmas (awful timing).However Paul and his team at Loveitts were quick to act in getting the house back, on the market and within hours! Next day we were delighted to have been told that new tenants had already been signed up and the contracts signed. All throughout this time we had constant contact with Loveitts keeping us informed of the latest developments and advising us on the procedures to follow, could not recommend them enough." "Thanks so much to the team at Loveitts auction for selling my old flat in Longford. It went higher than the guide price and completed quickly. The team were polite, professional and a pleasure to deal with." "In the circumstances please hold off on any further viewings after today’s. Whatever the outcome I have been very impressed with the co-operation and effort I have received from both Loveitts and the other agent." "Thank you so much for your hard work this year! You guys have been amazing! Paul, Sara, Anne, Jade, Liam, Carol and everyone else involved thank you so much. We have managed to maintain full occupancy due to your hard work and we really appreciate it. Sara having to deal with Scottish power! Anne with 107 and other flat problems! Liam and Jade making sure we have new tenants ready when old ones move out. Carol on sorting accounts. These are just a few things- you guys have been amazing! Hope the whole team enjoys the wine! Merry Christmas and Happy new year." "Gemma was great & sold a property for us at The Property Buying Company & the sale went well & has good updates! Would use them again for sure for any property in that area." "I found John Pugh and his team at Loveitts extremely helpful while selling our property. John was very approachable at all times with any concerns I had. I would highly recommend Loveitts Commercial if you need to sell a property." "Rebekka at Loveitts Coventry branch has been really helpful and understanding to our circumstances!!..." "Thank you for all your help throughout the process, and wish you all a Merry Christmas” Mrs D"
"Thank you so much Sara for your help throughout the process, and to Sally for her sterling work at the auction. Best wishes Carol"
"The Loveitts team were fantastic, Charis completed the valuation, took the photos & put the listing up online in record time. My house had 10 viewings booked within the first 5 days & was sold after 7 days. The viewings were conducted by Amanda who was friendly and knowledgeable, she then followed everything up until completion. Communication with Loveitts was first class and any questions were answered straight away. Will definitely use them again should we decide to move." "Recently my husband, Andy, and I moved into our new property and wanted to send a quick email to firstly say thank you for all your help and work in moving us into our new home. Both Andy and I are very grateful for how efficient and easy it has been to work with the whole team, especially in our interactions with Jade - she’s been great." "Hello Steven Just a belated note to say a big thank you to you & your staff for all your hard work, leading up to our sale. I know we thought it would never end, but the result was worth it! So on behalf of myself, Barry & Eunice a big thank you . Kind regards, hope you are well." "Firstly I just want to say I was extremely impressed with you when we met on Monday. Not just your professionalism, but the way you conducted yourself, your honesty, and the fact that you genuinely seemed to have our best interests at heart. Due to all these factors and the competitive costs etc we indeed would like Loveitts to advertise the property for rental." "Loveitts have sold a number of houses for me & I have found that they are very good at keeping me informed & achieving the best price. I feel my sales are in safe professional hands." "Always very helpful & get the results we need. All the departments work in harmony so no 'ring another department'. Very reliable company & delightful staff." "Thank you to the Loveitts team for managing the letting and eventually selling our commercial premises. Loveitts guided us through the management process and ensured rents were collected on time. When we eventually decided to sell the property, Loveitts advised on the best marketing strategy and advertised the property for us. Loveitts successfully sold the property achieving a quick sale well above guide price. Regards Brian"
"Dear Mr Evans , I have been reviewing your firm’s impressive Loveitts’ website & hence this email query. Please would you give me a call about a few commercial lettings’ opportunities ?" "I am so impressed with the lettings team of Loveitts. They are by far the best letting agency I have ever had since I came to the UK. Hassle-free, quick response, always ready to help. They really helped me in getting a fantastic property at a bargain price and I just had to do this review to show my appreciation. I will definitely recommend this agency to anyone looking to rent a house." "Louisa Thank you so much for your help with the maintenance issue at the above property yesterday. You acted quickly to get the situation rectified. I feel you also acted in a very professional and caring manner in looking after the tenant and offered additional help and reassurance at what I am sure was the end of a busy day and a stressful situation for our tenant. You kept us informed of your actions and were able to report back that it is all now resolved. Thank you again for your help. Regards"
"Firstly Anne, thank you for keeping me updated regarding tenant issue. Paul, Anne does a great job keeping me up to speed. Thanks for great service." "Thank you for your prompt reply! I knew I had picked the right agents to look after my house"
"We would like to record how pleased we were with the services provided by Loveitts and by John Pugh in particular. The letting was not straight forward and we received much appreciated advice and help in achieving a successful letting of the premises in due course. We intend to use Loveitts facilities again in the future and were more than happy with the service provided on this occasion as with previous lettings. We will of course be happy to discuss possible management arrangements with you when we get to moving to that process as we expect to in the future and would thank Susan for her e mail accordingly With thanks for achieving a successful outcome and the associated advice and help best wishes Martin & Barbara"
"Thank you Jade. I believe references back well. Appreciate your timely updates and keeping us in the know." "It is a pleasure working with Loveitts and I appreciate your team taking care of all the issues related to managing the property"